Our Constitutional Rights and freedoms are protected and defended by our Second Amendment Rights to bear arms. 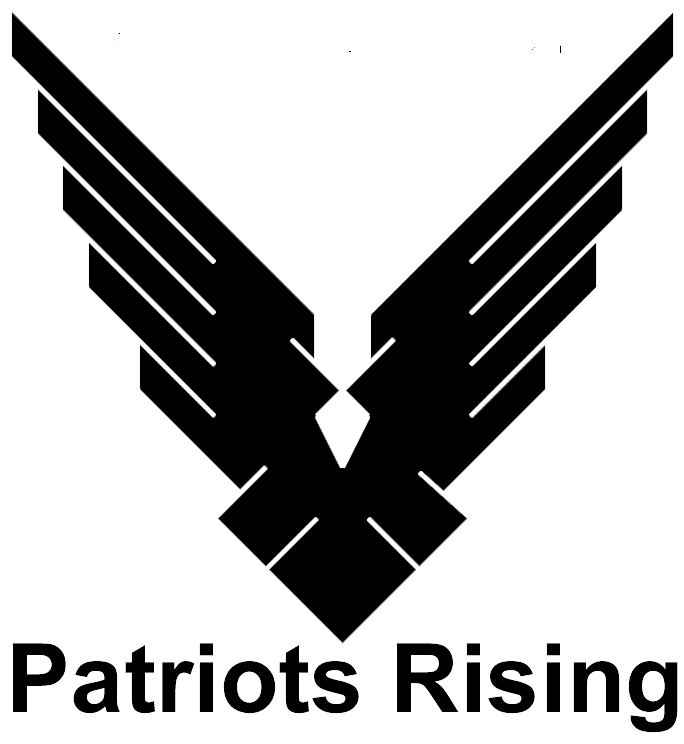 Patriots Rising is a community dedicated to the freedoms and liberties established by the Bill of Rights. History has taught us that occasionally the need for patriots will arise and only a small percentage of individuals will answer the call. Th roughout history there have been countless examples of normal everyday citizens rising to greatness in the name of their country. These people are average citizens with no remarkable skills or education, they do not hold a public office, have special training or even have a leadership role within their communities. You would not be able to pick them out from a crowd as they blend into any crowd. They are normal United States citizens. Our nation has fallen on dark times as our political elite put themselves above the people. They have forgotten what it means to serve the people. Our freedoms and liberties are under attack like they have never been before. They have infiltrated and taken control of most of the major media sources to control what you see and hear. They are dictating how our children are taught and fed. They have taken control of our healthcare system. They have created policies under the disguise of National Security that completely bypasses all safeguards provided by our Constitution. They are rewarding the lazy and punishing the hard working. Free thought and our way of life is hanging by a thread. Our nation once a world leader is now ignored and laughed at. She is hurt, weak and most of all vulnerable. She is calling out again as she has in the past for her Patriots to rise and defend and protect her. Patriots Rising provides insightful commentary on news and laws that affect you and your way of life. It breaks my heart that Americans have let this happen to this Great Nation, all the blood and sacrifices to defend what now has been taken so freely, taken for granted. Now it is expected! The mentality is, that is theirs and they earned it, without ever contributing or lifting a finger, that is what is perceive by a great vast majority. Americans are now Reacting when they had the time to be Active, take a stand and most of all let their collective voices be heard. Remember. WW II? I WAS HONORABLY DISCHARGED FROM USMC. I WAS IN 71-78. VIETNAM VETERAN 1972. I LOVE MY COUNTRY. I LOVE OUR WAY OF LIFE. THERE ARE FAR TOO MANY OMINOUS WARNINGS IN OUR FACE AS I SPEAK, TO WHIT INTERMENT CAMPS FOR FEMA “SURVIVORS”. TAKING AWAY VETERAN RIGHTS TO KEEP ARMS AFTER THEY ARE DECLARED MENTALLY UNSTABLE AND IN NEED OF CARE PROVIDERS, SPONSORS, OR ADVOCATES. SAY WHAT? PTSD IS AS NORMAL AS LIFE. ONE OF MAN’S STRONGEST INSTINCTS IS FEAR. WE ALL HAVE FELT IT. THERE IS NOTHING WRONG WITH IT. IT IS HOW WE RESPOND, AND CARRY OUT OUR ASSIGNED TASKS THAT MAKES US ALL THE MEN WE WERE TRAINED TO BE. I HAVE DEALT WITH PTSD NEARLY ALL OF MY LIFE. IT DIDN’T JUST FALL OUT OF THE SKY AND LAND ON ME. I HAVE HAD FREQUENT PROBLEMS WITH IT LATELY. BUT I WOULD NOT HESITATE TO DEFEND MY COUNTRY AND COUNTRYMEN, WITH OR WITHOUT A FIREARM. I DON’T KEEP ONE HANDY BECAUSE I WOULDN’T HESITATE TO USE ONE. FACT IS I DON’T NORMALLY NEED ONE. I WILL SUPPORT YOUR IDEALS. YOU MIGHT ALSO CHECK OUT DR. BEN CARSON. AN HONEST MAN WHEN WE NEED ONE. A POSSIBLE PRESIDENTIAL CANDIDATE. HE’S REAL. HE’S CHRISTIAN. HE BELIEVES IN THE SECOND AMENDMENT, AND SO. MUCH MORE. I THANK YOU FOR YOUR TIME. PEACE.